Our riding sessions take place at Lings Lane Riding Stables, Keyworth, Nottingham, NG12 5AF. Travelling from the north or south on the A46, take the A606 towards Nottingham. After approximately 0.5 miles turn left towards Widmerpool. Continue approximately 1.5 miles and at the T junction turn right along Keyworth Rd to Keyworth ; bear left at Selby Lane. At the T junction in Keyworth turn left on to Main Street. As the road bears right to leave the village and becomes Wysall Lane, Lings Lane is the un-made road ahead; the stables are a little way down on the left. 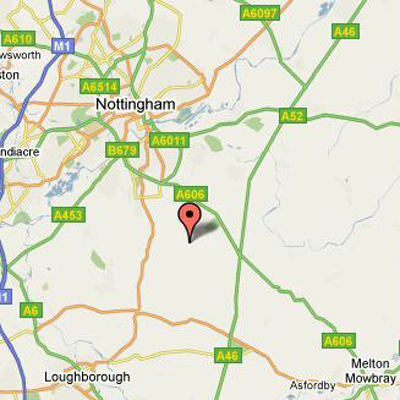 Travelling from Nottingham on the A52, take the A606 towards Melton Mowbray. At Tollerton, turn right towards Plumtree and continue through the village towards Keyworth along the Nottingham Rd. Follow the road through Keyworth where it becomes Main Street . As the road bears right to leave the village and becomes Wysall Lane, Lings Lane is the un-made road ahead; the stables are a little way down on the left.